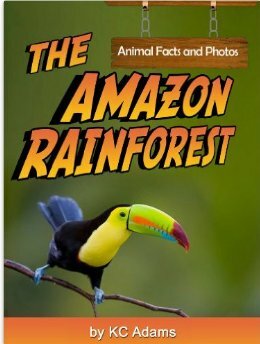 Despite the title, this book is not merely a list of facts, but a comprehensive view of the Amazon RainForest and the life within it. I knew that this rainforest was the largest on earth, but I did not realize that this rainforest receives a whopping 52% of the daily precipitation for South America containing 2/3 of the world’s fresh water supply and 20% of the world’s oxygen. The animals inhabiting this world are diverse and bizarre. Most of us are familiar with tropical birds like the macaw and toucan and monkeys like the squirrel monkey and marmoset. 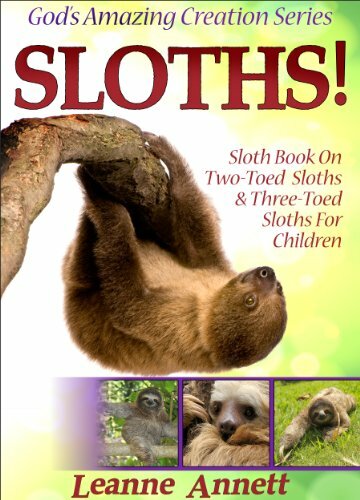 Some of the unusual animals include the sloth who sleep fifteen to eighteen hours a day and the nocturnal maned wolf that is often called a red fox on stilts. Poison dart frogs can be as small as a paper clip, but their poison excreted through their skin is powerful enough to kill a human. Capybaras are the world’s largest rodents, who are friendly to humans. On the other hand, the piranhas living in the river eat their prey alive. Be on the lookout for the anaconda, the largest most powerful snake on earth. Living in the water, these hunters catch their prey with their fangs and drag them under water to drown it before they swallow it alive. Animal selections are written well even if they are succinct. Pertinent information on diet, habitat and lifestyle is presented. Questions follow the descriptions for discussion. The photos are clear and appealing, I would recommend this book to anyone with an interest in learning about this intriguing region. Great choice for elementary and middle school students or homeschooling parents.